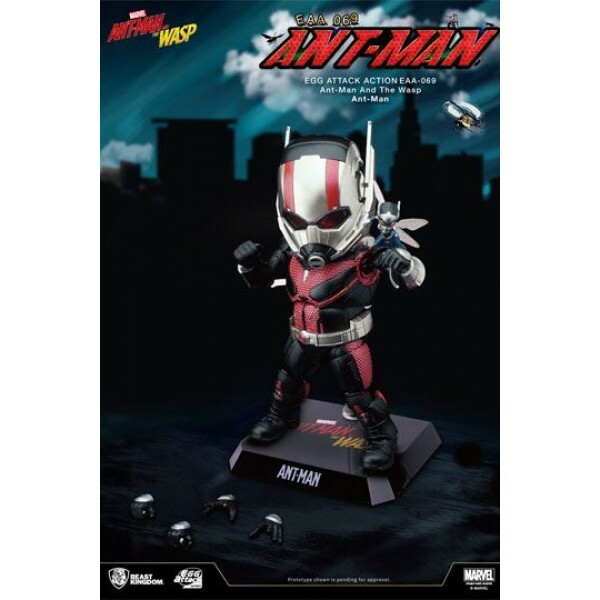 The adventures of the tiniest superhero of the Marvel Universe continue! 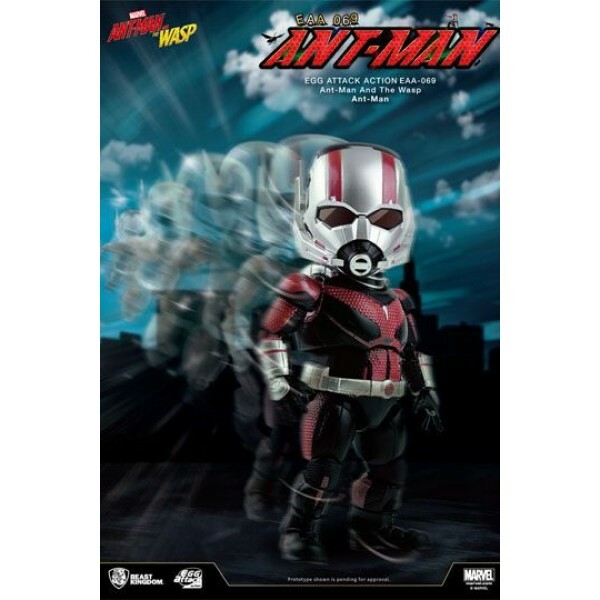 The titular hero of Marvel Ant-Man must again don his superhero costume and fight alongside his new partner the Wasp to defeat the villains in the upcoming sequel - Ant-Man and the Wasp. 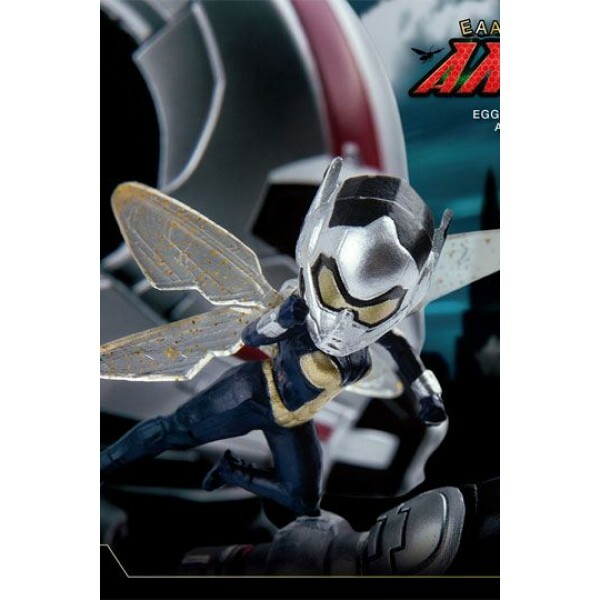 Beast Kingdom EAA (Egg Attack Action) action figure series is proud to bring you the hero whose talkative can rival even Deadpool - Ant-Man! 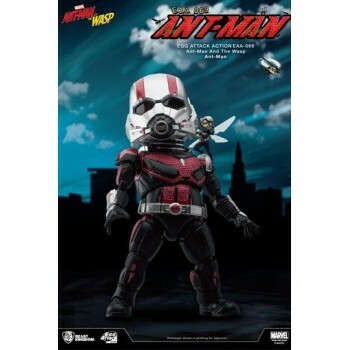 The action figure is based on the official style of Ant-Man and the Wasp. 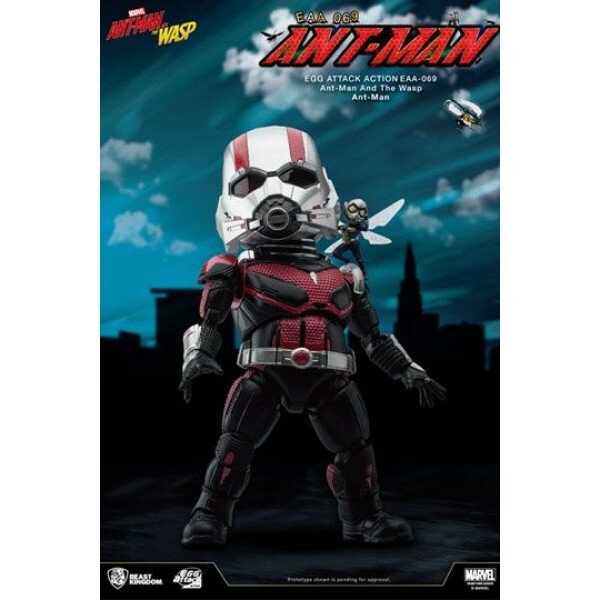 The Ant-Man action figure comes with a mini version of the Wasp performing a flying kick, and together they will fight to defeat the villains. The painting and details manage to fully recreate the style of the characters in the movie. 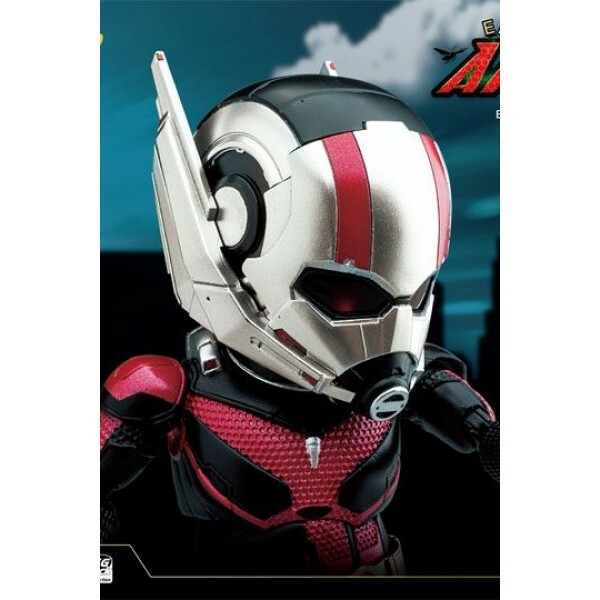 The 16 cm tall action figure has the same unique features as the other EAA series, with high mobility and plenty of interchangeable hands, which allow you to have Ant-Man with a number of action poses.